In this comparison, we'll be looking at the big boys from the Souverän collection, the M600, M800 and M1000. 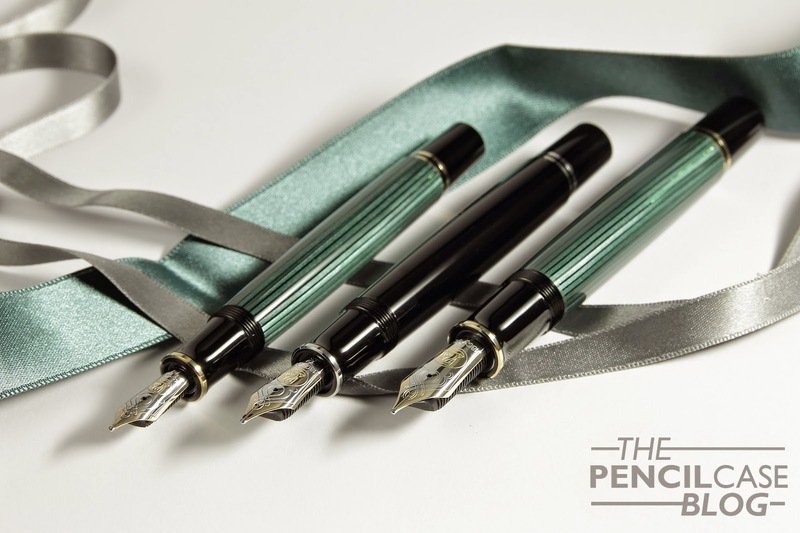 All three sizes are magnificent pens, but they all have their pros and cons, so that's what I'll focus on in this post! Again, a little family shot. 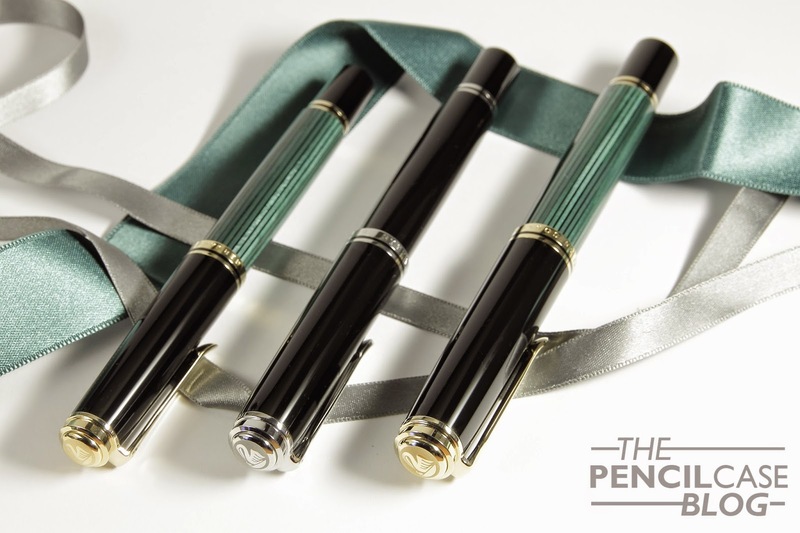 We're looking at the three largest pens in this post. Let's start off with the 'smallest' of the bunch, the M600. Even though it's the smallest of the three sizes listed here, it's still a decently sized pen. At 13.4 cm capped, it's more suited for people with normal or smaller hands, though when posted, it becomes long enough to be used comfortably, regardless of what size your hands are. 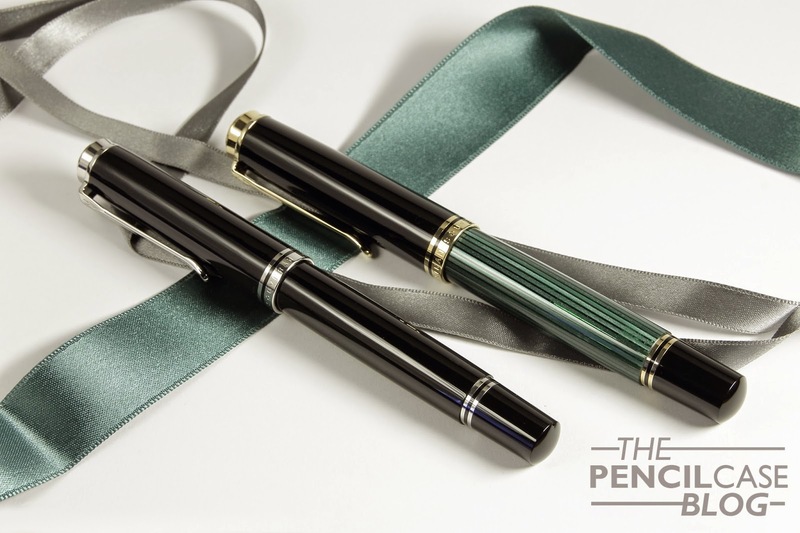 The M600 is the largest pen available with a 14k nib, whereas the larger models have an 18k version that is completely similar in design to this one. When it comes to performance, I couldn't really find a difference between the two versions (14k and 18k) either. 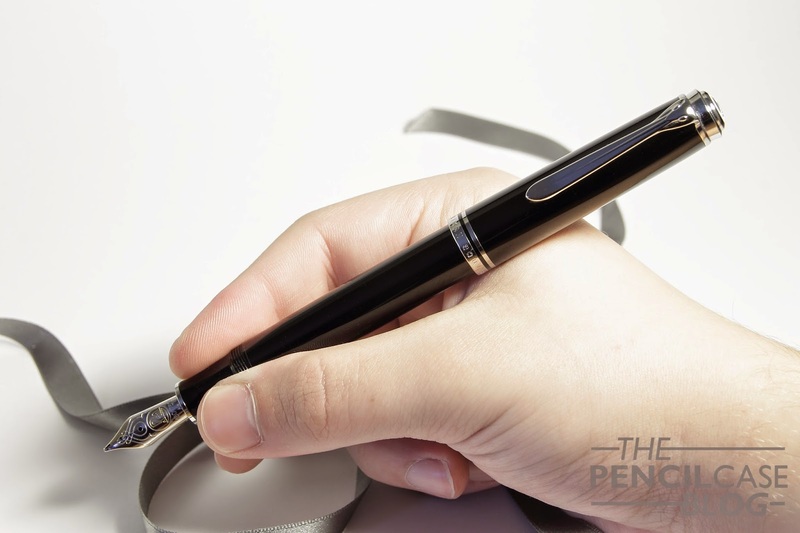 The M800 series is a substantial pen. Both size and weight are noticeably different compared to the M600. The weight difference is mainly due to the brass differential piston mechanism, compared to the plastic one in the smaller models. 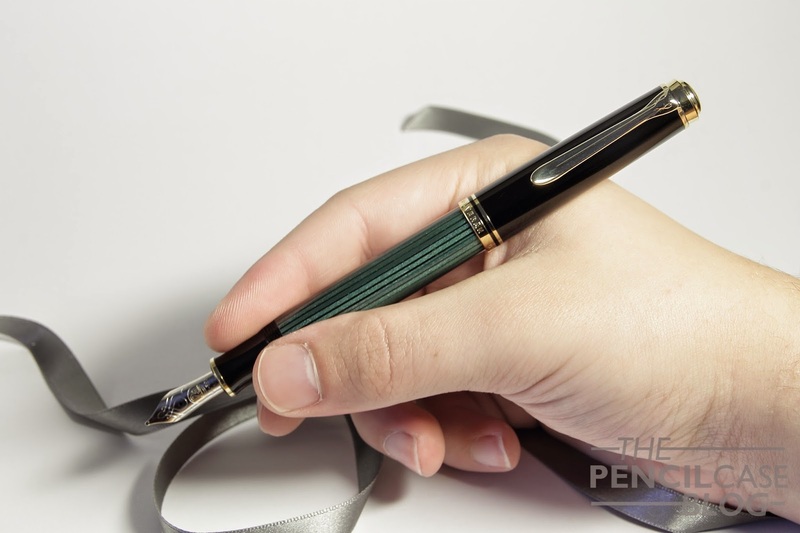 The added weight, combined with the extra 8mm in length, and the added thickness, makes this pen appear almost oversized compared to the M600. The brass mechanism also gives a satisfying balanced feel, it isn't noticeably back heavy, even though most of its weight is now situated at the back. The added length allows for comfortable writing when unposted, which is how I prefer to use it. Posting is possible, but it gets quite long.The 18k nib is a bit bigger than the M600, though performance of the two nibs is very comparable. They are both rather soft, though not to an extent where you'll want to try to flex it too much! Both nibs are very smooth, and have generous though balanced flow. 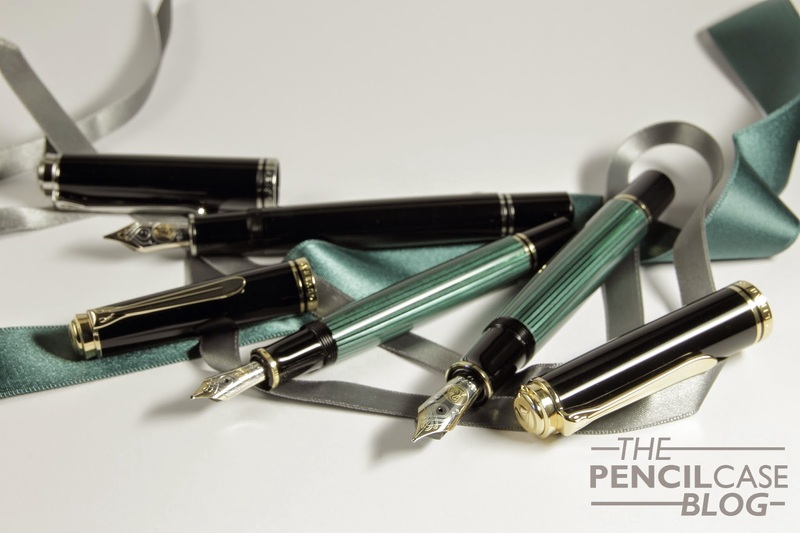 The M1000 is the monster, the flagship, the oversize pen in the Souverän lineup. It's a big, and rather surprisingly heavy pen (at well over 30 grams capped!). The M1000 also has a brass mechanism, and I can't help but find it a bit more noticeably back-heavy than the M800. 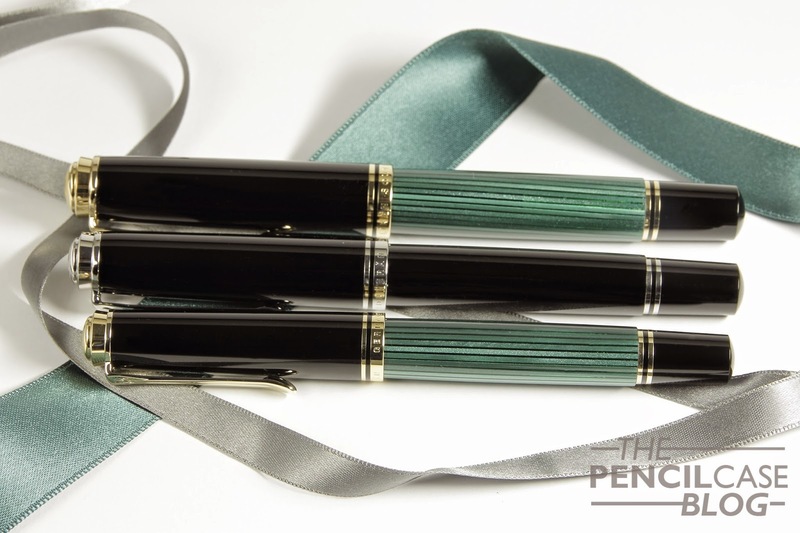 Still, the balance remains quite excellent, and there's no trace of fatigue to be had when using any of these pens. 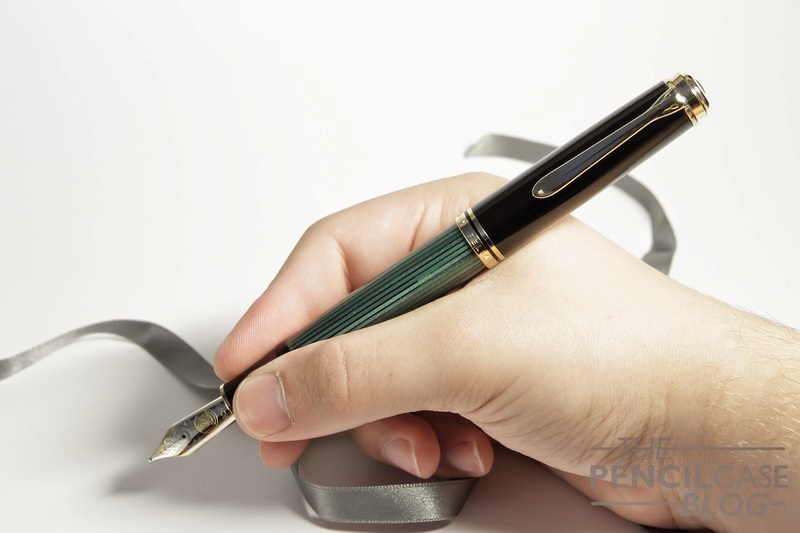 At 14.7 cm, which is 'only' 5mm (1/5 Inch) longer than the M800, this is a substantial pen! That feeling of substantialness (is that even a word?!) strangely isn't really noticeable when in use. 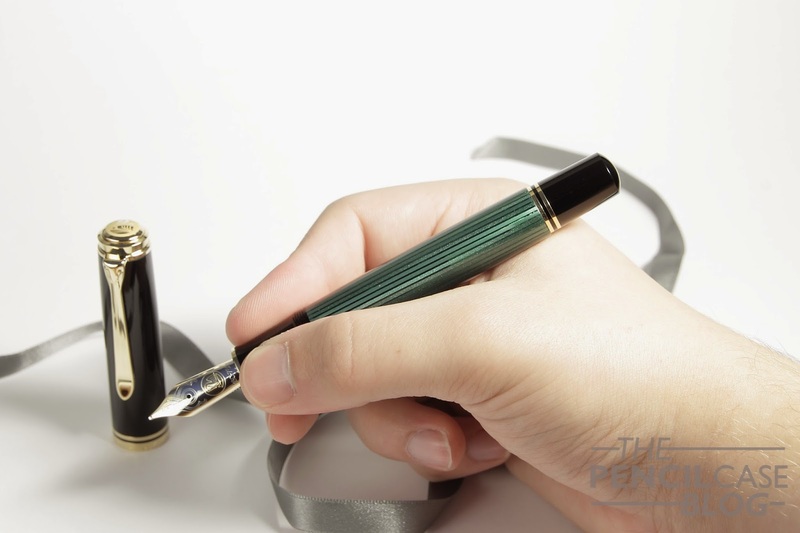 The M1000 is a 'girthy' pen, though when unposted (don't even bother posting the cap if you don't want to look silly!) it doesn't feel too long at all. In the end, if you're looking for a workhorse pen, I'd still consider the M600 to be the best option. The M800 might be more suitable if you have larger hands, but that's up to you to decide. The M1000 remains more of a 'collectible', though it's very much usable. I'd say the M1000 would make for a nice desk pen. That is, if you are in for a girthy pen. The soft properties of the 18k nib on the M1000 makes it an easy winner for me, but it also makes it a bit more specific in use, with an even wetter flow (not at all suited for regular copying paper, although a finer nib might be ok). As far as price goes, there's a noticeable difference between the three. 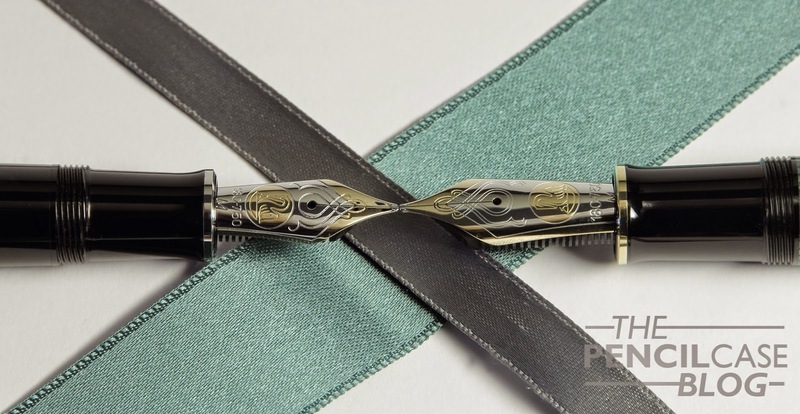 The 18k nibs and brass piston parts definitely add to the M800 and M1000 pricetag. The M600 will set you back 350 EUR/400 USD, the M800 goes for 470 EUR/570 USD, and the M1000 will burn a slight hole in your wallet, at 600 EUR/ 750 USD. That said, with a bit of internet shopping, you can definitely find them for a lot less than these list prices! Thank you for a good and thorough post. I am considering buying either the M600 and the M800. I saw a comparizon between the M600 and the M800 on SBRE Browns youtube channel where he mentioned that the grip part of the M600 was too small for his fingers. I believe his index finger would rub agains the threaded section which I can imagine being uncomfortable, especially if writing for longer periods. Is this something you also noticed or can see as a potential problem with the M600? 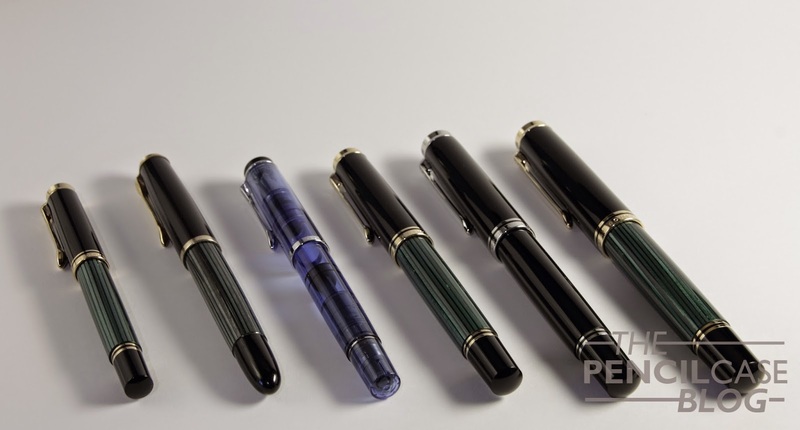 Also, how flexy would you say the nibs of the M600 and M800 are? I do not need full flex, but it is a requirement for me to be able to write somewhat thicker lines by pressing a bit, like writing BOLD to emphasize a word here or there. Would you say that is possible with the M600 and/or the m800? Hey, thanks for your comment! When comparing the M600 and M800, the grip section is indeed a bit smaller on the M600, though I prefer it over the M800. SBREbrown's hands are pretty large, so I can see why he prefers the M800. It depends a bit on if you have large hands or not, but I'd say the M600 is a more 'regular-sized' pen, while the M800 is a large pen. You can sometimes feel the threads when you hold the pen, but I never really had any issues with that, the threads are relatively comfortable.